Advances in computer and software development have given rise to an increase in the use of computer aided engineering and analysis software. For most computer aided design, normal desktops or even laptops are sufficient. Even most Finite element analyses are becoming possible with affordable laptops. In this field, Computational Fluid Dynamics is often an exception as it still requires complex computations in large simulation domains using small element sizes. Because of this, large computer clusters are often required to perform the calculations in a reasonable timeframe. This high performance computing (HPC) gives us the ability to maximizing the throughput of engineering simulations. The cost of software is one of the limiting factors in the use of large computer clusters, not hardware as it is in the traditional computer aided engineering (CAE) licensing model. When analysis software is licensed on a per core basis, you can end up with compute resources that are underutilized and over expensive. 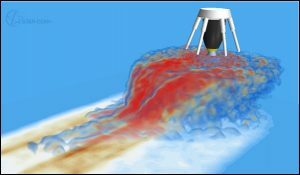 STAR-CCM+ offers a series of licensing options that are affordable and customizable to meet simulation needs and throughput requirements. For instance if you often perform large simulations on your own cluster or high performance workstation, you’d rather not buy your licenses by the core whereas if you run small scale simulations, a more expensive license for unlimited computing power gives a bad return on investment. Serial session for smaller calculations, exploration and design: gives unlimited usage of a limited amount of cores per session. Power on demand: useful if you sporadically need the power of a supercomputer, metered usage, unlimited cores. Pay only for what you use, without the requirement of owning your own cluster. Power tokens: these are useful if you have different scales of simulation. For example, with 20 tokens you can run 20 separate jobs on one core each or a single large job on twenty cores.